One of the biggest reasons that my hand crafted chairs are able to be so strong and last so long is the fact that the pieces are split not sawn. 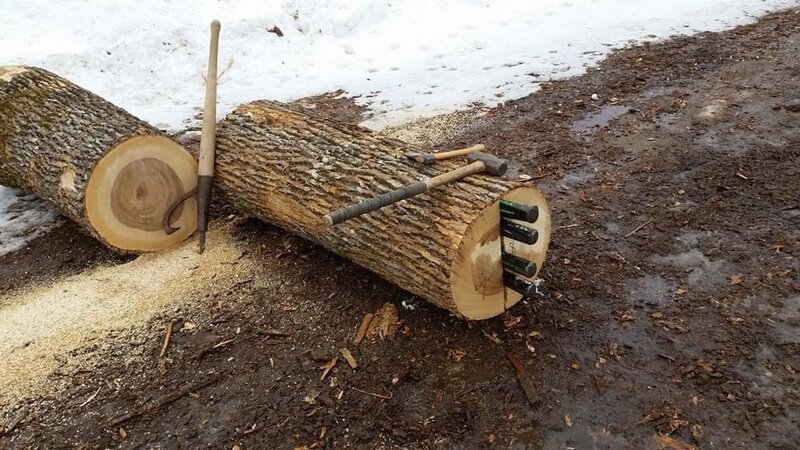 By splitting a piece for a chair and then shaving it to carefully to follow the grain, the strength of the fibers in the wood goes from end to end and thus don’t run off like they would if they were sawn. If the pieces were sawn the grain could be anywhere but by using a brake to firmly hold the billet and then splitting the piece with a froe the grain is left intact. 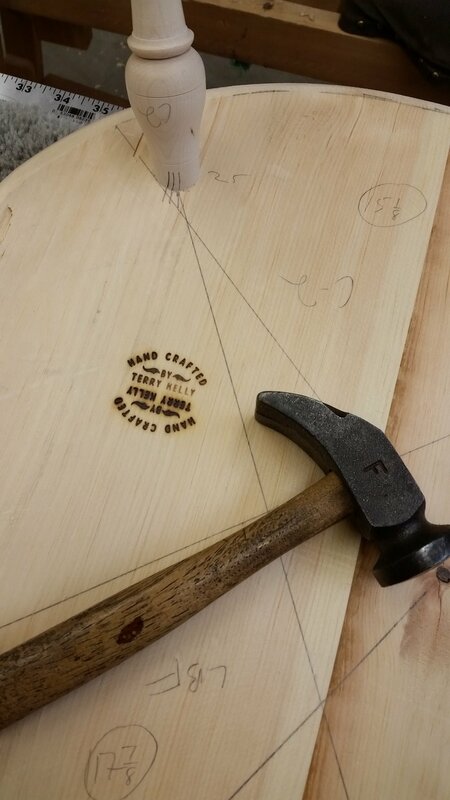 I then carefully shave the piece to the grain line and shape the piece to ensure it is maintained. Every chair has a story and a maker. Every chair that leaves my shop is hand built by me. From selecting the logs in the forest to the final wax buffing, every step is done by me. One piece, one chair at a time. I doesn’t matter to me how long the chair takes, so long as I am satisfied at the end. In this way I know you will be as well. I have been building for 15 years; continuing the almost lost art of hand crafting chairs using only hand tools and nearly lost techniques. My chairs represent the culmination of years of learning and building. I am always striving for a better way and like a true artist I am never satisfied. My chairs are pieces of art that you can use everyday. Because they are built by me, you can expect that they will grow more beautiful and meaningful as the years pass. Thus the chairs story will grow as my story continues to grow. My name is Terry Kelly and I build chairs.